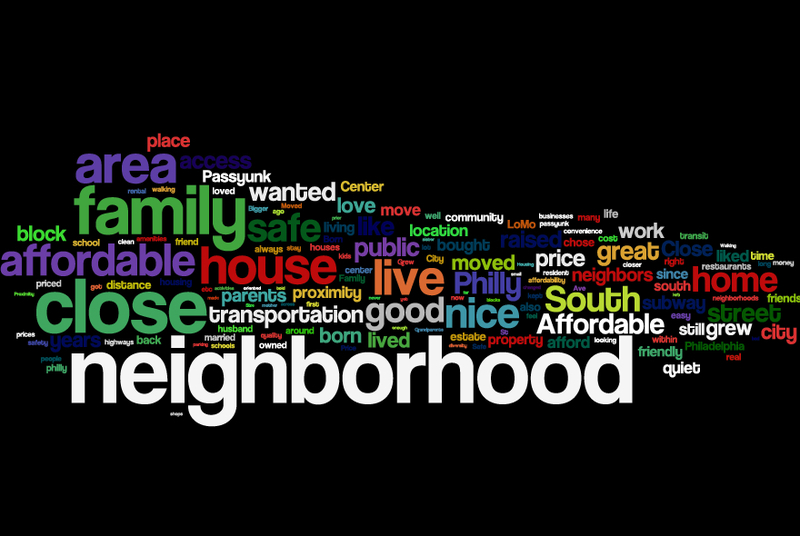 THANK YOU TO EVERYONE WHO TOOK OUR NEIGHBORHOOD SURVEY! LoMo’s Board of Directors would like to thank all 216 people who took the time to share their thoughts and opinions in the LoMo Neighborhood Survey. The survey period ran from Fall 2012 – Fall 2013 and surveys were available both in online (via SurveyMonkey) and in paper format. Hundreds of paper surveys were distributed throughout our neighborhood and drop-off boxes were located at the Fumo Family Library and at Epiphany Church. One lucky survey respondent, whose name was drawn at random the night of our Community Meeting, was awarded a $200 gift card for groceries as a thank-you for their participation. As our neighborhood continues to attract new residents and businesses, the board of the Lower Moyamensing Civic Association will take into consideration the information that was shared by our community stakeholders. As our neighborhood continues to grow, the results of the survey will guide LoMo’s efforts going forward. Special thanks to Meg Retz, the Fumo Family Library, Epiphany Church, Councilman Mark Squilla, and Boy Scout Troop 147 for their assistance with LoMo’s Neighborhood Survey.